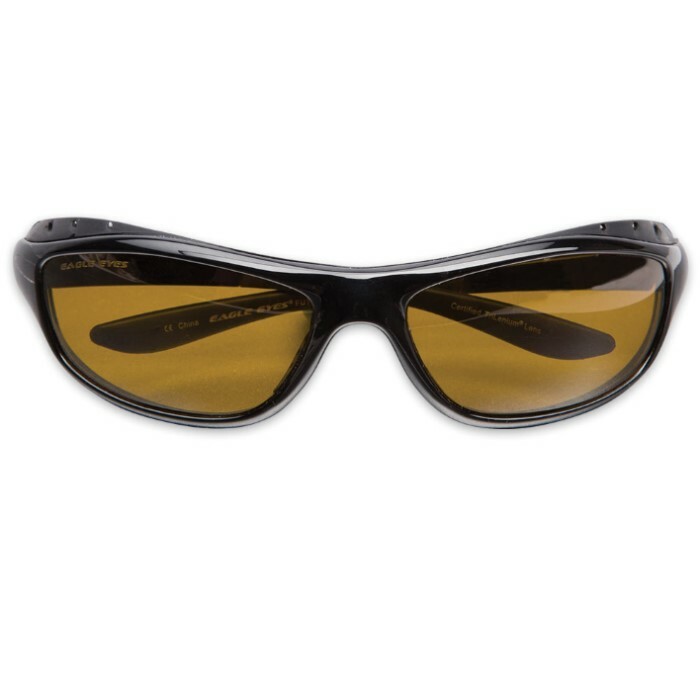 Futura Black Sunglasses | BUDK.com - Knives & Swords At The Lowest Prices! 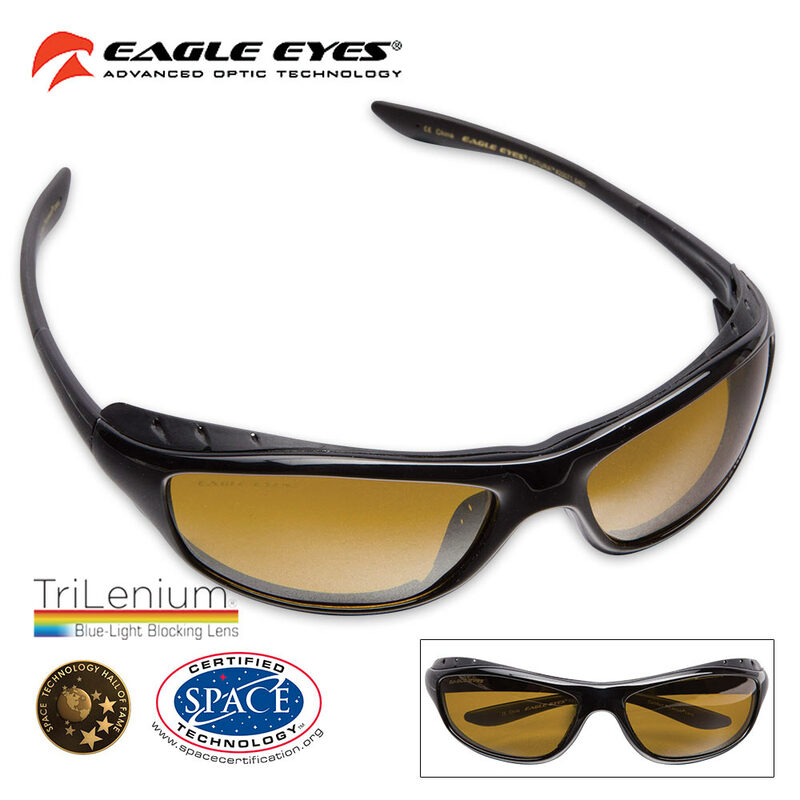 The sturdy and lightweight Techlon Polycarbonate frame of the Futura Sunglasses by Eagle Eyes is what makes them such a valuable asset to your sun protection gear. Meticulously-designed for today's active lifestyle, you can count on them to serve you well whether you’re engaging in outdoor activities or just running to the store. They feature a wrap style design to provide optimal coverage and protection and the lenses are of polarized TriLenium with 2X Scratch-Guard coatings so that you get 100% UVA, UVB, plus, blue-light eye protection. 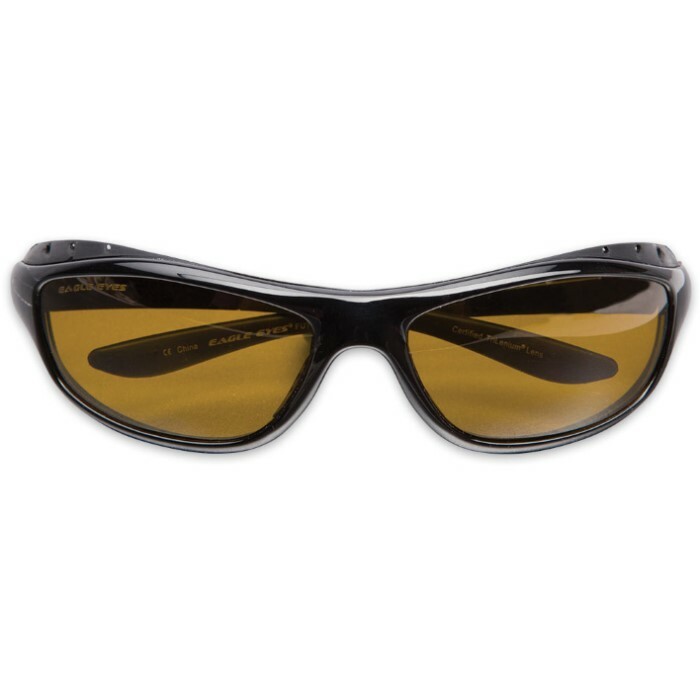 The sunglasses feature adjustable wire-core temples; soft, rubberized, inner eye-cushions; and the exclusive Tri-Air technology provides all-day comfort and coolness. A micro-fiber drawstring cleaning pouch is included.